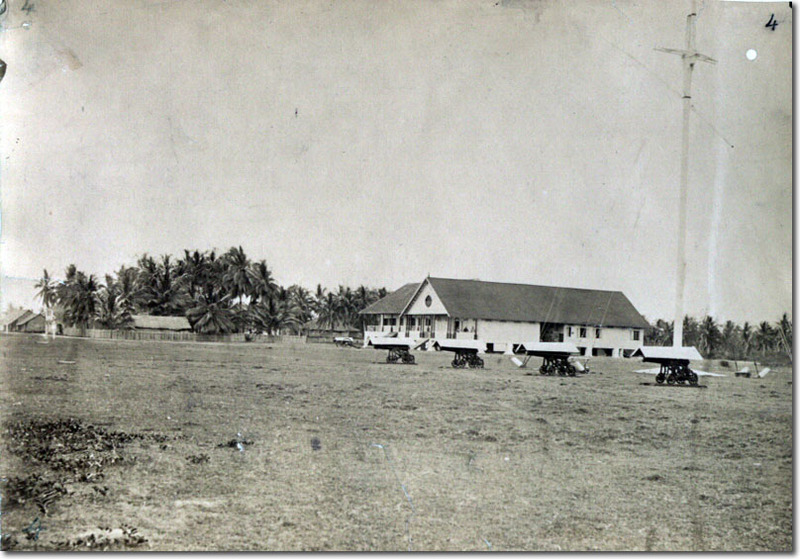 This photograph shows the British Empire's Government Offices on the island of Labuan near to Brunei and the North Borneo Coast. The mast hints at its Royal Navy connection as they were the ones responsible for its seizure in 1846 as they were interested in the coal deposits for their fast developing steamships. Also note the little roofs on top of the cannons in an attempt to keep their mechanisms dry in tropical climate!